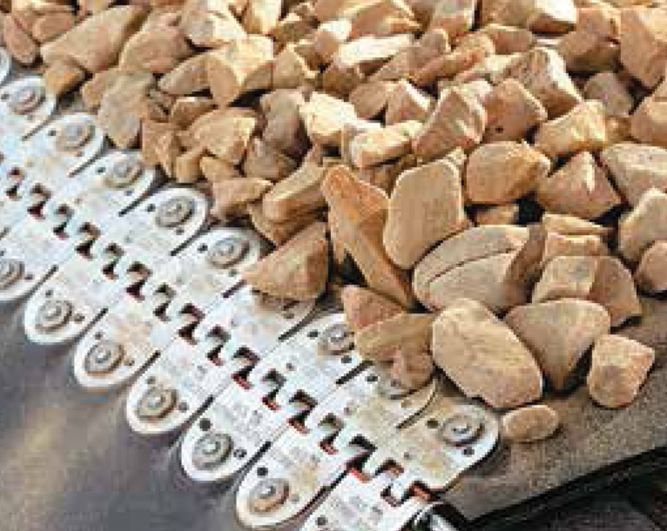 Minet Lacing Technology has developed the SUPER-SCREW®. MLT specific screws are self-drilling and self-tapping (they spread the carcass threads without cutting them). 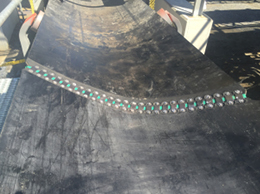 The fasteners are made of composite material with self-tapping screws and are usable on reinforced rubber corresponding to the various conveyor quality: wear, oil or fire-resistant or white FDA. 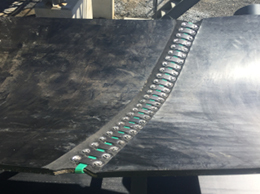 The screwing system allows Super-Screw® to be installed regardless of the configuration of the conveyor belt, access condition and weather conditions. Super-Screw® can also be used as a permanent splice and for repair of holes and rips. • Handle is very ergonomic and comfortable. • Every blade can be fitted on the cutting head. • Clamps are spring loaded. • Can skive on any part of your belt. 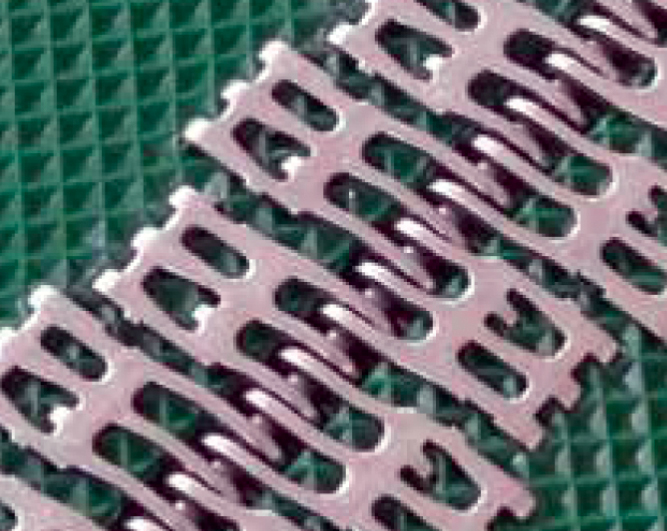 • Can skive your belts from 1/16” to 5/8” deep. • Each part is available as a spare part. Clip’N Lock® is a low profile light duty fastener. It maintains the normal pitch that ensures an excellent gripping of the claws in wide belts. • Trough belts – 33 % more grip points gives 15 % additional strength. 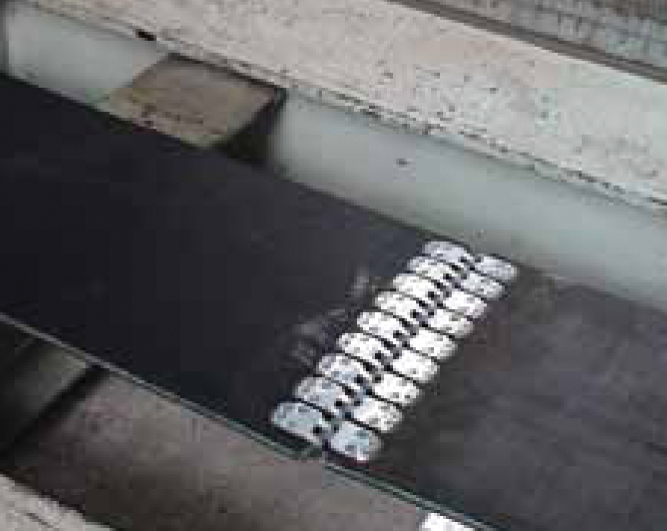 MS® Fasteners utilizes self-tapping screws for heavy duty belts that require no drilling, no template, and no hammering. 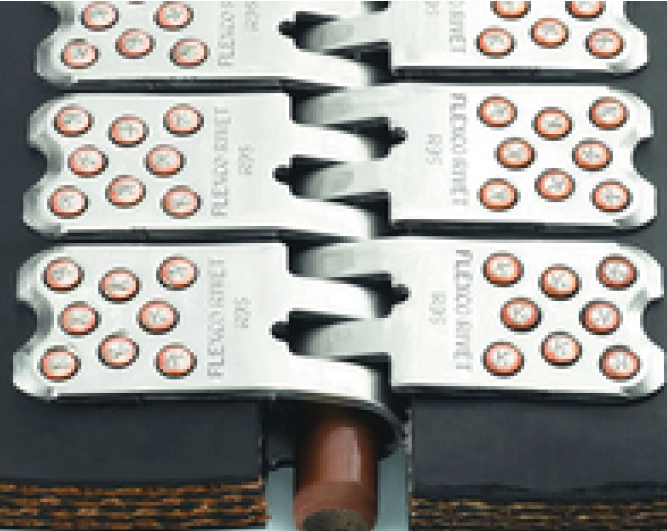 The screws drill smoothly through the belt, while maintaining belt integrity (thickness of 9/64’’ to 23/32’’). priority is saving time and money. 25% larger diameter dimensions are generally required. catalogs to guide your selection. conveyors with smaller pulley diameters.